Stride-Rite Buy One Get One 50% Off ALL Footwear ONLINE & In-Store! Final Weekend! 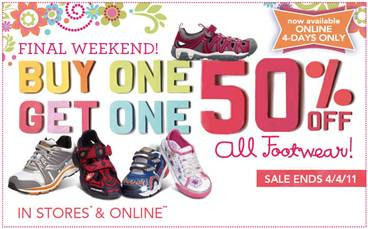 This is the final weekend for Stride-Rite's Buy One Get One 50% ALL Footwear Sale! Shop online or in-store. Click the banner above for more details. Woohoo! !